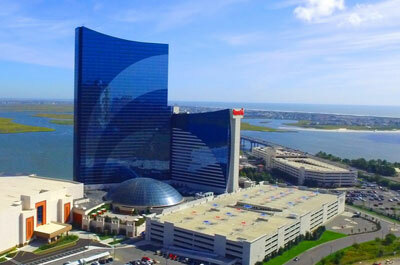 Casinos are the driving force behind what Atlantic City is all about. The fantasy and fun of gambling is big business with players dreaming of striking it rich and spending over $8 million dollars each day at slot machines and gaming tables. 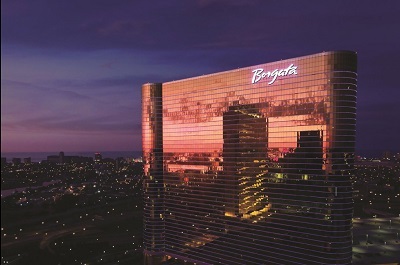 It features 2,002 guest rooms and suites and a 161,000-square-foot casino floor incorporating 4,100 slot machines and 200 table games, Borgata Atlantic City puts the high-octane excitement of casino gaming on display in all its glory. 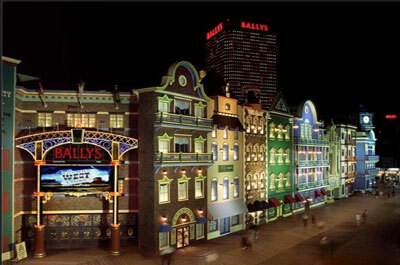 Play table games such as poker, blackjack, roulette, Baccarat, novelty games, Racebook, Pai Gow tiles and Sic Bo. 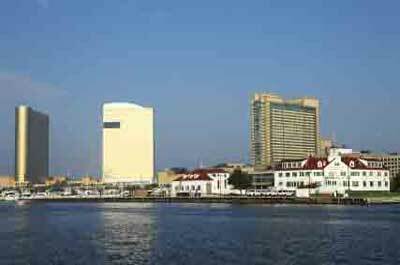 Borgata's preeminent poker program continues to gain momentum with daily tournaments in Borgata's Poker Room, the largest in Atlantic City. 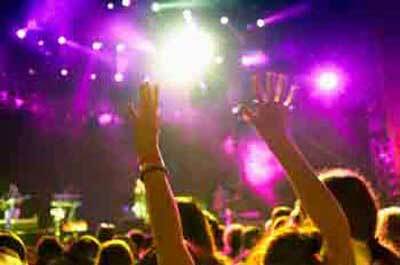 As well as high-stake tournaments in conjunction with the World Poker Tour. 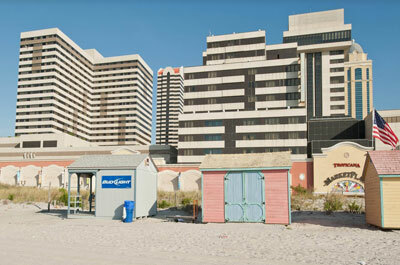 The hotel has 1,100 rooms, with a Roman theme, Italian art and a 17 foot replica of Michelangelo's stature of David. They offer a spectacular new Poker Aren and over 135 table games with 20 smoke-free gaming tables surrounded by 50" plasma televisions. 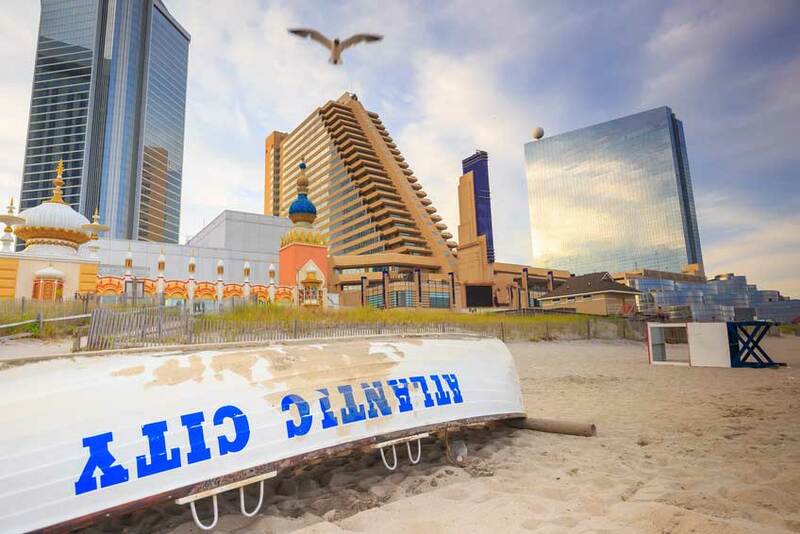 This 728 Room, 26 Floor resort has been recently completed a $150 million dollar renovation, has an awesome view of the bay and the magnificent 640-slip Senator Frank S. Farley State Marina. Situated in the Marina district, across from the Farley Marina, this hotel has 2,593 rooms and suites in 5 beautiful hotel towers overlooking the bay. . A featured attraction is their 150,000 sq-ft casino offering more than 2,800 slot machines, including all the latest and greatest games, and the searing action of our fast-paced table games and Poker Room, and is host to the World Series of Poker. 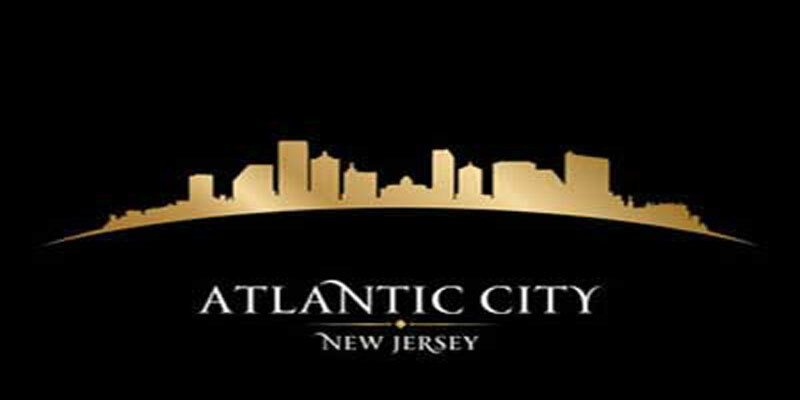 They also can boast of having one of the best night spots in AC, The Pool at Harrah's Resort is an ultra exclusive indoor oasis by day and a very chic party spot at night. 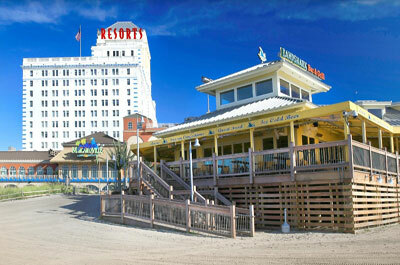 The hotel has excellent dining and features some of the top restaurants in AC. 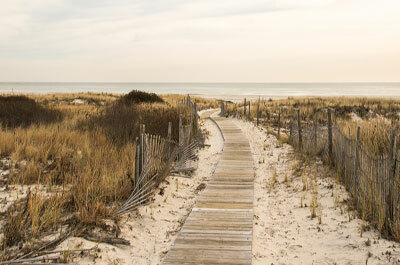 Like the other Marina district hotels, they are 2 miles from the other boardwalk hotels and are easily transported back and forth by Jitneys for a small fee. 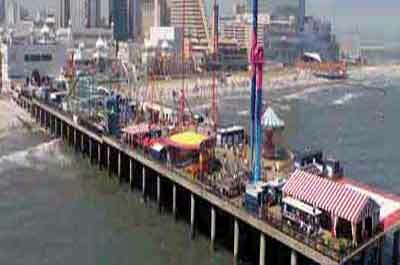 Resorts inaugurated New Jersey gambling in Atlantic City with being the first casino. 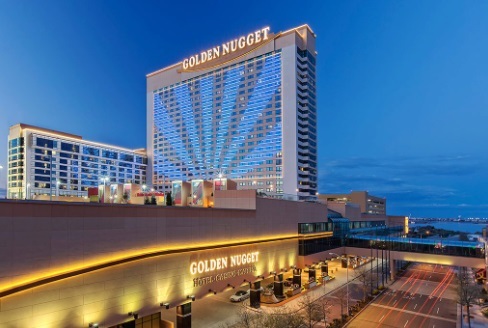 It has a sleek art deco design and 1920's theme and a casino with more than 2,500 slot machines and table games in more than 100,00 square feet of casino space. 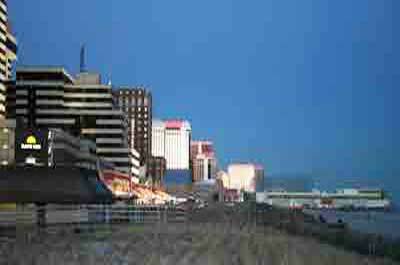 The Tropicana is a boardwalk and beach-front resort with 2,100 hotel rooms and suites, 24 dining options, live entertainment, 18 places to party, a selection of 25 retail shops and round-the-clock casino gaming. 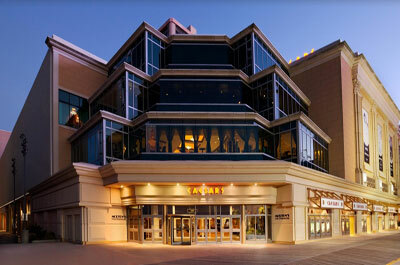 The casino has 150,000 square feet of gaming space and is known to cater to the mid-range gambler. For serious slot machine players, the Tropicana is a slot-machine paradise.